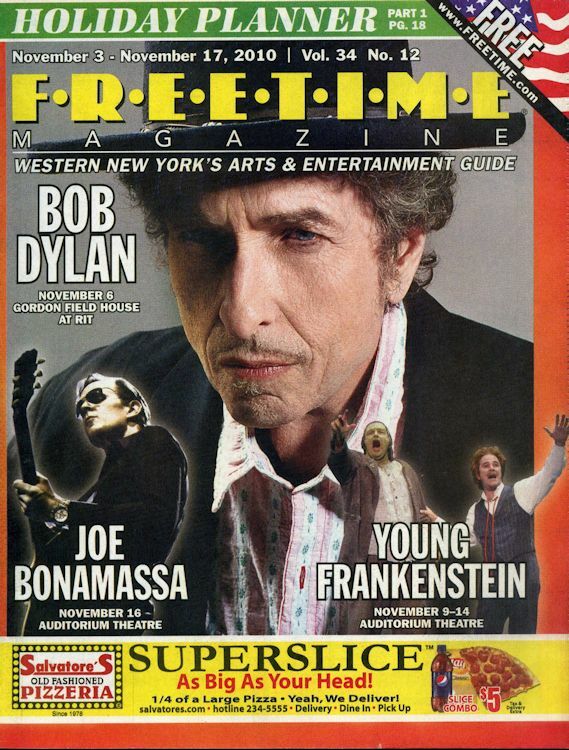 FREETIME MAGAZINE, USA. 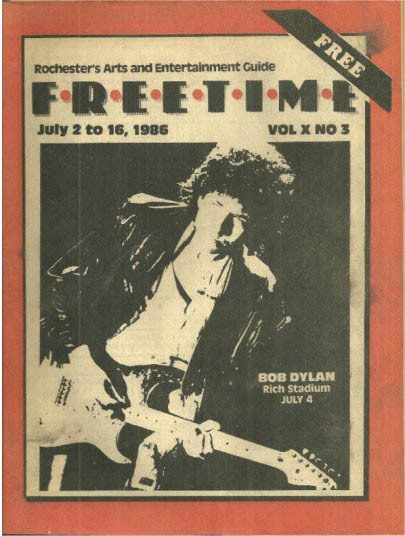 "FREETIME" was a listings magazine (26.5 cm by 20 cm) for Rochester and the surrounding area of New York State, covering concerts, clubs,cinemas, restaurants and so on, with lots and lots of advertisements but very little by way of editorial content. information Ian Woodward. 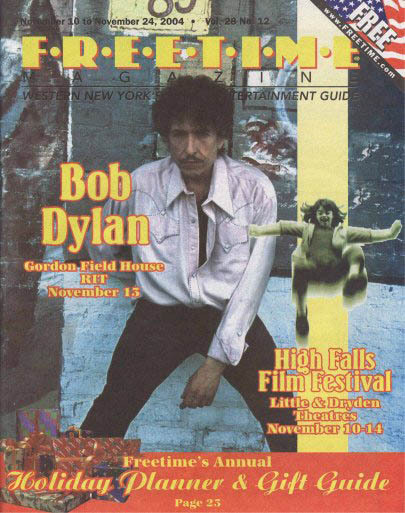 Volume 12, #2, 15 to 29 June 1988. Same photo and colour than the 1986 copy above! 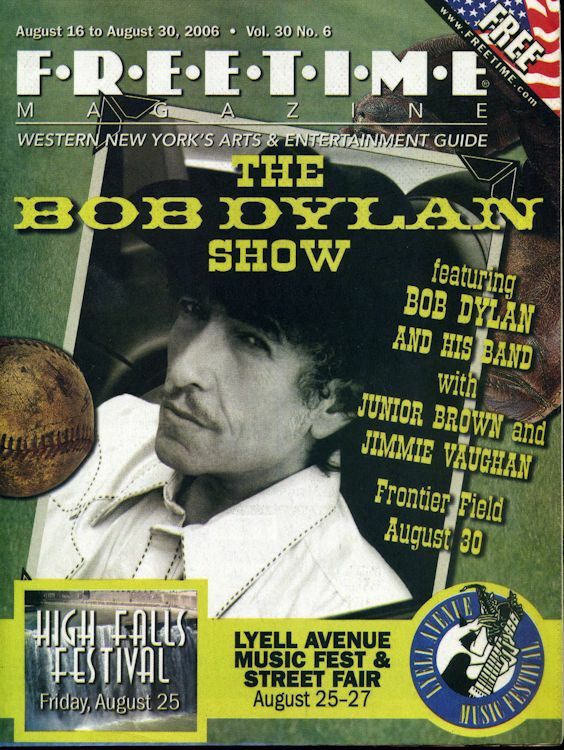 "Dylan's name does appear a very few times, here and there, and there is an advert for the various shows, including Dylan's, 'at the Finger Lakes Performing Arts Center located on the campus of CCFL, Canandaigua, NY'. 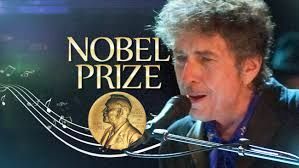 The concert was one of series of concerts that went under the name "SUMMERPO", which was sponsored by a local wine company. Bottles and cans were not permitted at the concerts, however! 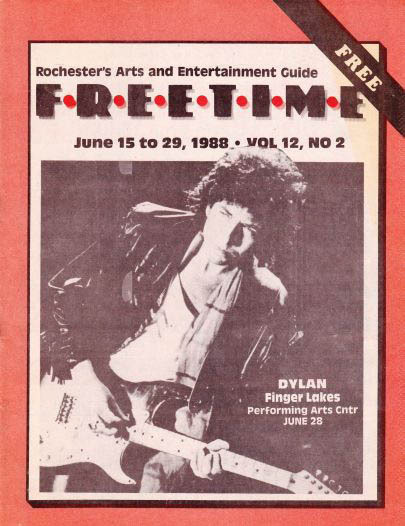 "CCFL" likely stood for the Community College - Finger Lakes and, yes, the front cover image was printed a bit askew". Many thanks to Ian Woodward for scan and information.